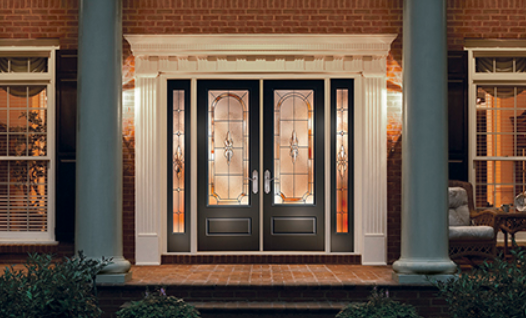 For over 30 years Home, Door and Window Products has been one of the top leaders in the steel door industry. Providing quality service to over 150,000 satisfied customers. Home and Door carries the Therma-Tru brand, as they are recognized as one of the most durable steel doors on the market. We are the best choice for quality steel front doors, steel entry doors, or steel exterior doors. We have an extensive inventory or Therma-Tru brand steel doors, and our dedicated team has the experienced to get the job done right. Home and Door provides excellent, dependable quality service to our clients in Roseville. Roseville is a community of over 48,000 residents in Macomb County, Michigan and is a part of the Metro Detroit area. Home and Door specializes in steel doors, and we can ensure you the highest quality, the best service, and affordability. Our Roseville customers can expect excellent service from our professional sales team. Home and Door specializes in steel front doors and steel exterior doors, and we ensure quality and durability. Getting a new steel exterior door offers energy efficiency as well as security. Our Roseville clients always receive pleasing service from our outstanding sales associates. We have beautiful steel doors that will add value and curb appeal to your home. You will also save you money because our steel front doors are energy efficient. Come check out our vast selection of steel exterior doors and steel entry doors at our showroom. Home and Door can enhance the appearance of your home or business with one of our custom designed steel doors. Home and Door offers quality craftsmanship and excellent services. Call Home, Door and Window Products today at (248) 399-9900 to get a free in-home estimate!